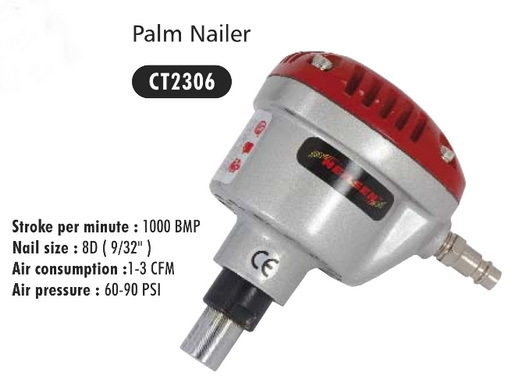 Air Nailer, This nailer will easily drive most size nails (or even screws) into timber. The main advantage is it does not require special or collated nails. A magnet in the head holds the nail prior to driving which is achieved by simply pressing the nail against the wood.